We've all got them as part of our family history, haven't we ? The odd tale woven by one of the older members of the family about someone (even older) they knew, about what they did, won a medal, made the nicest cakes, was in a cup final, or fouught heroically. Usually there's a good grounding in fact, and often the action has been embroidered or aggrandised a bit, but it's only when you start digging around that you discover the truth. There was a Family Legends Writing Workshop with Robert Douglas, author of Night Song of the Last Tram and 3 other books, at Tower Mill, Heart of Hawick, this afternoon; and 18 people attended to get some tips on writing. There was a handout from the Hawick Heritage Hub about the Rutherfoord Mystery as inspiration, however, it wasn't needed, Robert Douglas read us a bit about his Uncle George, and after a writing exercise, it was clear that lots of people had interesting stories to tell. 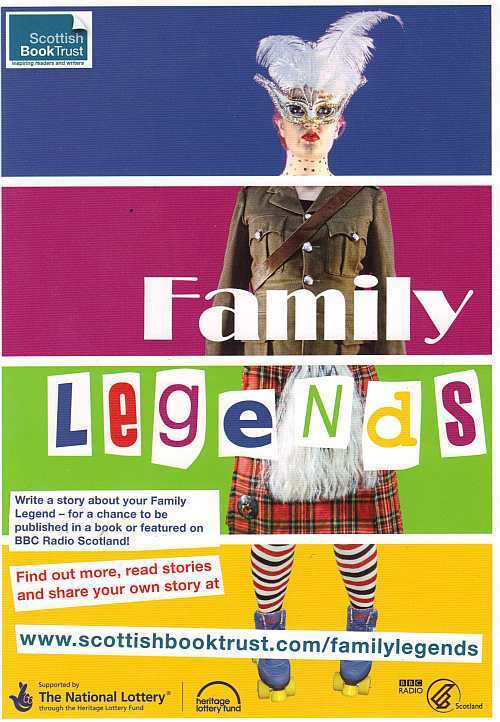 Family Legends is a national story project and competition from Scottish Book Trust, to involve people all over Scotland in creative writing – using family stories and heritage as inspiration. A selection of the most interesting and inspiring stories will be published in a book and the best five will be broadcast on BBC Radio Scotland. 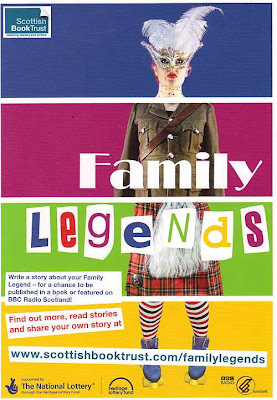 To find out more, read stories and enter your own story (between 100 and 1,000 words) go to www.scottishbooktrust.com/familylegends. The radio competition is open to UK residents only but the book competition is open to everyone. Beware ! The closing date is 31st March 2011.